There are good computers and bad computers. I'm not talking about the computer's cost-performance ratio, energy consumption or level of fanciness.... I'm talking about good computers that help people (like the one in Wall-E) and computers that kill people (like HAL). 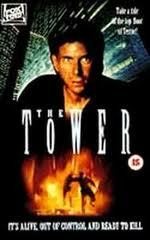 This film is about a high-tech tower (nowadays it looks a little dated) which is controlled by a computer... which happens to be a clear example of a bad one. The computer has the duty of protecting the building at all costs. And it takes it very seriously. We can see an example of it at the beginning of the movie. An innocent pigeon flies to the top of the tower's ventilation system and looks around with curiosity. Immediately, the system detects the intruder as a potential threat and marks it for delete. What does delete mean? Yes, think in the worst and you'd be right. With a powerful gust of air, the pigeon is 'deleted' from the tower. It is not clear if the bird was hurt or not, but the sight of a huge cloud of feathers makes us suspect a most dramatic finale for the pigeon. Finally, the threat was removed and the system returns to its normal operation mode.... bad computer, I don't understand how you can sleep in peace. 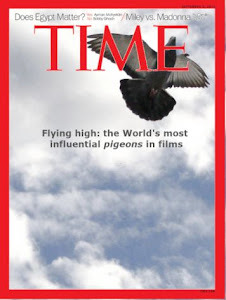 Pigeon activity: It is a common urban pigeon that explores the tower's top, maybe in search of some food or looking for a future nesting place. Unfortunately, it is going to face an evil computer that will delete it. Symbolism: The pigeon is used as an example of the computer's inflexibility towards unauthorized visits and how it deals this kind of situations: with force and violence. Later, the protagonist (a human) will also suffer even worse treatment. Relevance: Low. There is a brief appearance, but it summarizes very well how dreadful the computer is. Training level: At the beginning of the scene, the pigeon is clearly thrown on the ventilation system. 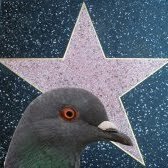 The pigeon handlers don't seem to be well-trained. However, the bird behaves very well and naturally in its movements. This is so much new topic which you have raised here which should be discuses in our community. This is one of the best movie that I have ever seen.